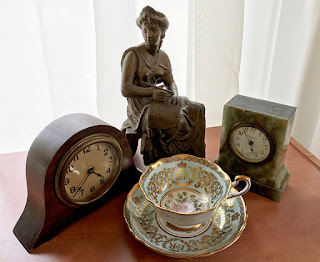 Carnaby Estate Sales: RETRO in the Falls this Weekend! WNY's Premiere Estate Sales and Liquidation Company. The only accredited estate liquidator in our area, we offer on-site estate sales and household liquidations, antique appraisals, and clean-outs. We do sales from Lockport and Buffalo through Hamburg, Orchard Park, East Aurora and the Southtowns; we cover the entire area! Your sale deserves the best; give us a call today for a complimentary consultation. Hiring Us for Your Estate Sale F.A.Q. RETRO in the Falls this Weekend! We're in Niagara Falls this Friday and Saturday with a retro packed sale for you! Photos are up now on the sale tab! We're also doing our annual bag drive this weekend - if you bring us a bag of grocery bags (shopping bags only please, not the orange newspaper tubes), we'll donate $1 to the Food Bank of WNY in time for Thanksgiving. It's our way of helping to give back to a great community! We're taking appointments now and booking for our winter sales now - get on the schedule! Click on the Hiring Us for Your Estate Sale F.A.Q. page on the link on this site for more info, and check out WNY's only American Society of Estate Liquidator's accredited company for your upcoming sale. Your sale deserves Carnaby Care! Are you following us on Facebook? If not, take a minute right now to like and follow us on Facebook at Carnaby Estate Sales. Make sure to click "all posts" in the notifications section so you don't miss a single announcement (just liking the page will not guarantee our announcements show up in your news feed). Click here to go to our Facebook page. We'd also ask you to share our Facebook page with all your friends on your own timeline! Check us out on Facebook to get sale updates and last minute news! Click here and join our growing fan base! With over 30 years in the antiques and estate sales business, Phoebe and Jock Sharp can handle your estate needs professionally and expeditiously.